Rescue efforts to find a two-year-old boy trapped in a well in southern Spain have hit a major snag, it's emerged. 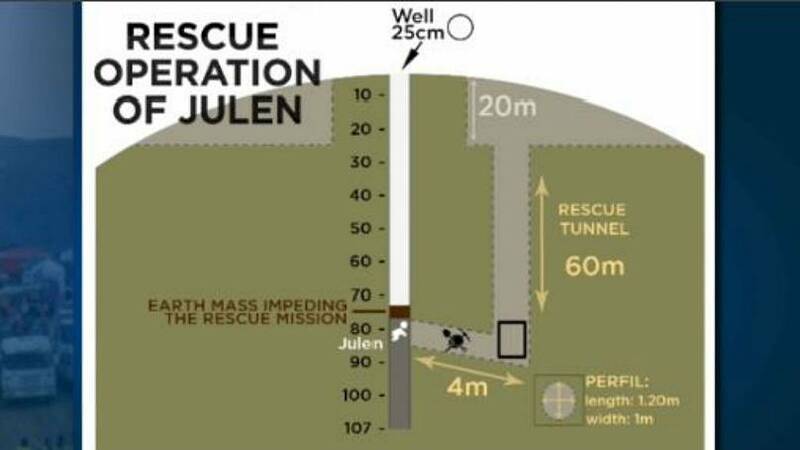 Engineers dug a parallel shaft alongside the well and they were hoping to dig across to get to the toddler on Tuesday. But they now admit they will have to widen the shaft before they can begin digging the horizontal passage. 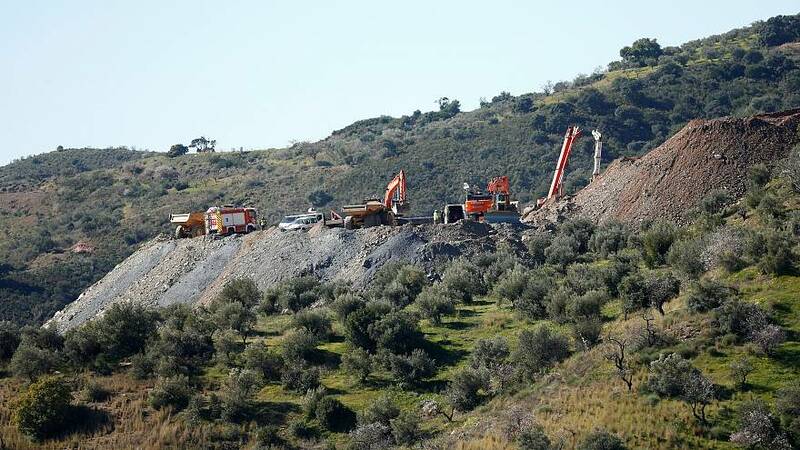 The child, identified as Julen, fell into the 25-centimetre-wide hole as his family walked through a private estate in Totalan, Malaga, on January 13. Juan Lopez Escobar, an engineer in the rescue team, told Euronews the drilling is taking place "with many difficulties due to the characteristics of the terrain”, he said. In a tweet on Monday afternoon, Spain’s Civil Guard shared a “message of encouragement” for the rescue teams. 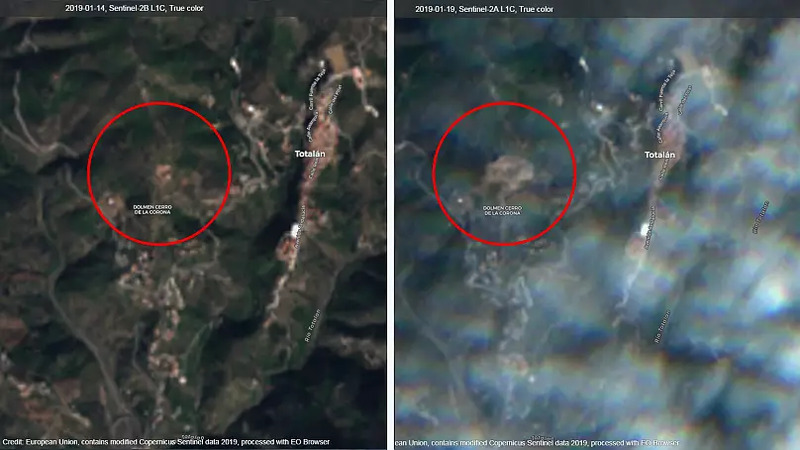 Satellite images captured by the Copernicus, the EU’s observation programme, have revealed the extent of the rescue efforts. 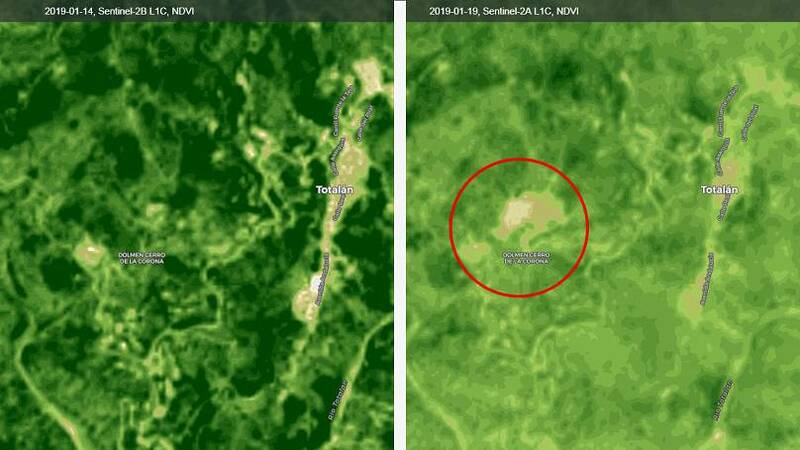 Comparing images from January 14 and 19, it is clear to see how the area cleared for the rescue efforts has expanded. Paediatricians told Euronews on Monday that severe dehydration poses the most significant risk to the child after more than one week in the well. However, Manuel Baca, head of Pediatrics of Quirónsalud Málaga hospital, said Julen’s chance of survival is improved by his age. "Children are more resistant in almost everything. What a newborn is capable of supporting in the birth canal, an adult could not stand. Children have an organism that is very adapted to survive under any circumstance," he said. He added that it was possible that Julen had entered a state of “semi-coma”, where his body would need to consume less. Others, meanwhile, were less optimistic about Julen’s chances of survival.